New Delhi: Professor Janat Shah, who has been director of Indian Institute of Management (IIM) Udaipur since its inception in 2011, re-appointed as the director of the B-school. Ministry of Human Resource Development (MHRD) has confirmed the re-appointment of Prof. Janat Shah as Director of IIM Udaipur for a second term of five years. 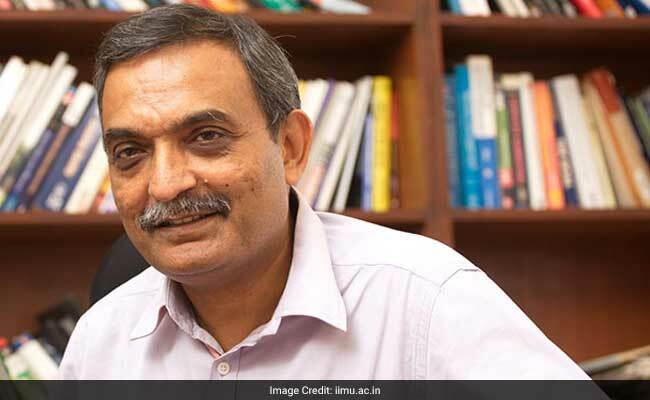 Professor Janat Shah became the only director amongst the new IIMs' directors to have received an extension of his tenure. In only six years, IIM Udaipur (IIMU) has made substantial progress towards its goal of becoming a world-class management institute. "A priority in Prof. Shah's strategic plan has been to make IIMU a leader in management research. The Institute has put in place a range of initiatives to support research that is one of the most comprehensive of any B-school in India", said a statement from the IIM Udaipur. IIMU is already ranked one of the top 5 B-schools in India for research based on the methodology used by UT Dallas which tracks publication in 24 leading business journals. It is also in the top fifteen in the NIRF rankings published by MHRD. IIMU has grown from 57 PGP students in the first batch to 240 in the incoming batch. It is the first of the new IIMs to have completely shifted to its permanent campus which provides state of the art facilities on a magnificent 300 acre site. "Building an educational institute is a 20 year journey but what one does in the initial years has huge impact. We can take great satisfaction in having made an excellent start. I am pleased to have the opportunity to continue working with our impressive young faculty, highly motivated students and dedicated professional staff", said Prof. Janat Shah on his tenure. Prof. Shah holds a degree in mechanical engineering from IIT Bombay and is a Fellow in Operations Management from IIM Ahmedabad. He continues to teach courses in Operations Management at IIM Udaipur.